I received my undergraduate degree from Yale University in 1970 and a Ph.D. degree in Sociology from the University of California, Los Angeles, in 1976. I came to Johns Hopkins as an assistant professor in 1976 and have been here ever since. I served as President of the Population Association of America in 1999. In 2003 I received the Distinguished Career Award from the Family Section of the American Sociological Association. In 2005 I was a Guggenheim Fellow. In 2009 I received the Irene B. Taeuber Award from the PAA, in recognition of outstanding accomplishments in demographic Research. I am a member of the American Academy of Arts and Science, the American Academy of Political and Social Sciences, and the National Academy of Sciences. My research is in the sociology of families and public policy. I have published books and articles on topics such as working-class families, marriage and divorce, children's well-being, intergenerational relations, family policy, and welfare policy. 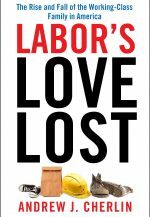 My most recent book is Labor’s Love Lost: The Rise and Fall of the Working-Class Family in America (New York: Russell Sage Foundation, 2014). 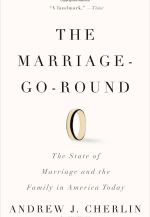 My previous book is The Marriage-Go-Round: The State of Marriage and the Family Today (New York: Alfred A. Knopf, 2009). I was also the principal investigator of the "Three-City Study," an interdisciplinary study of low-income children and their caregivers in the post-welfare-reform era. The study’s web site includes downloadable documents that describe the study and a searchable list of publications. The data from all three survey waves of our study are publicly available through the Interuniversity Consortium for Political and Social Research. 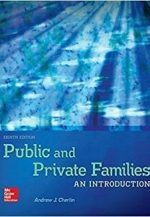 I am also the author of a textbook in the sociology of the family, Public and Private Families: An Introduction (Eighth edition, McGraw-Hill, 2017). Why Are White Death Rates Rising?, The New York Times, February 22, 2016. The Triumph of Family Diversity. Contexts Magazine online symposium “After Marriage Equality,” July 8, 2015. A Truce in the War Over Family, The New York Times, March 30, 2015. The Real Reason Richer People Marry, The New York Times, December 6, 2014. What Makes People Poor?, Thomas Edsall, The New York Times, September 2, 2014. "The Top Three Myths About Myths." The New York Times, August 27, 2012. "For GOP Presidential Candidates, Rules to Love By." The Washington Post, December 18, 2011. “Think of the Children.” The New York Times on-line, Room for Debate page, December 19, 2010. “For Many Americans, 'Marriage Is An Economic Decision,' Sociologist Says,” All Things Considered, NPR, September 29, 2010. “Not Your Mother’s Divorce.” The New York Times on-line, Room for Debate page, June 15, 2010. "The Risks Men Take.” The New York Times on-line, Room for Debate page, June 4, 2010. “The Housewife Anomaly.” The New York Times on-line, Room for Debate page, January 10, 2010. "Public Display: The Picture-Perfect American Family? These Days, It Doesn't Exist. "The Washington Post, September 7, 2008, p. B01.